For the whole month of december am running three days of Bake-a-thon on Mondays, Wednesdays and Fridays, also am running the usual weekly blogging marathon simulataneously as well. 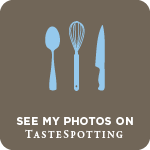 Yep i will posting many delicious posts quite often in my space, stay tuned guys. If you are my follower, you might have noticed that baking at home is my passion after cooking. Hence baking is a part of my life especially on weekends. I never fail to bake a bread or cake or else some pastries to please my family's tastebuds. 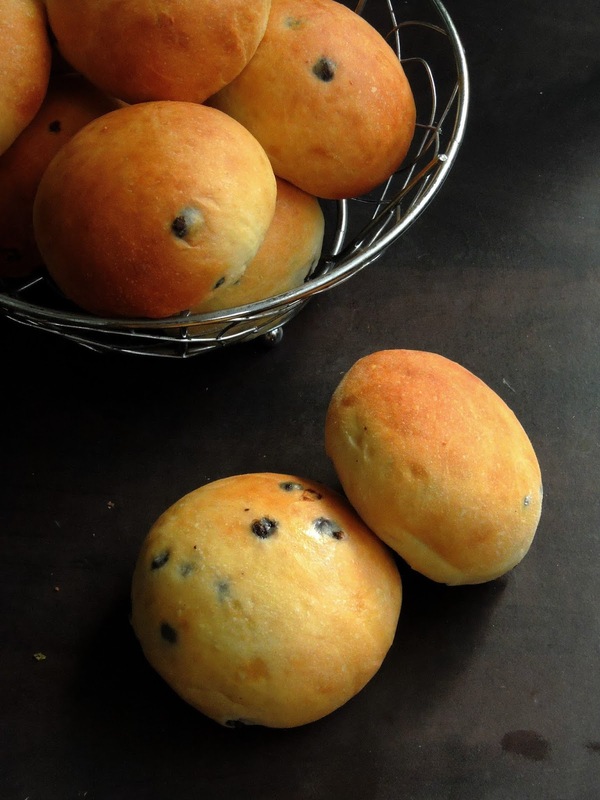 And coming to this chocolate chips loaded milk buns, this bread is eggfree but not butter free, hence this bread came out absolutely spongy with a beautiful crust and crumb. 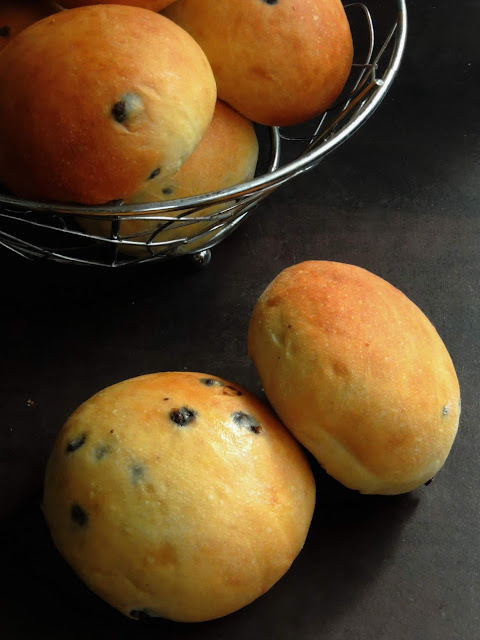 These buns are just prefect to enjoy without any spread or butter,kids will enjoy thoroughly this spongy chocolate chips loaded buns definitely for their breakfast or else for their snacks. Keep the chocolate chips in freezer for an hour. Take the flour,milk powder,confectioner's sugar, frozen chocolate chips and butter in a bowl. Knead everything as a soft,smooth dough,keep aside for until the dough double the volume. 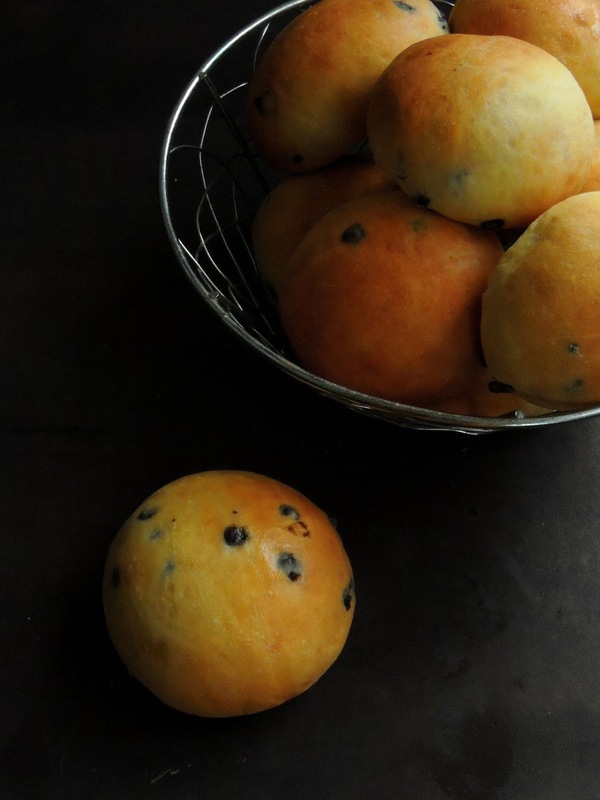 Make 6-8 medium sized balls from the dough roll them as medium sized buns. Arrange on a baking tray lined with a baking sheet, cover it with a towel and keep aside for an hour. Brush the buns with enough milk,bake for 20-25minutes until the crust turns golden brown.. They look so good Priya! Soft and perfectly browned. I am sure they made a great breakfast. Adding chocolate chips in the bun is such a brilliant idea Priya. They look fantastic and they sure will taste so yum. Wow ! These buns look so cute , perfectly made ! I am loving their cute shape . I am sure it must have been a treat enjoining them . What a fantastic bun Priya, love that it is eggless and I can make it myself..you are a pro in managing your schedule so beautifully. Looking forward to reading your baked dishes. Wow they look yum. Adding chocolate buns directly to the dough while proving is something different. Awesome Priya. Priya, those chocolate chip milk buns look sooo perfectly made - beautifully browned crust. I think my family will love these. Perfect and cute looking buns,you nailed it Priya. Those buns would be amazing to have dunk in milk... oh so yum, soft and fluffy! Wow the buns looks so cute . Love the addition of chocolate chips to the bun . My kids going to love it. Bookmarked it. As you said that's so simple ingredients it has!! Such an easy recipe. I want some one!! I always love this yummy homemade buns!! 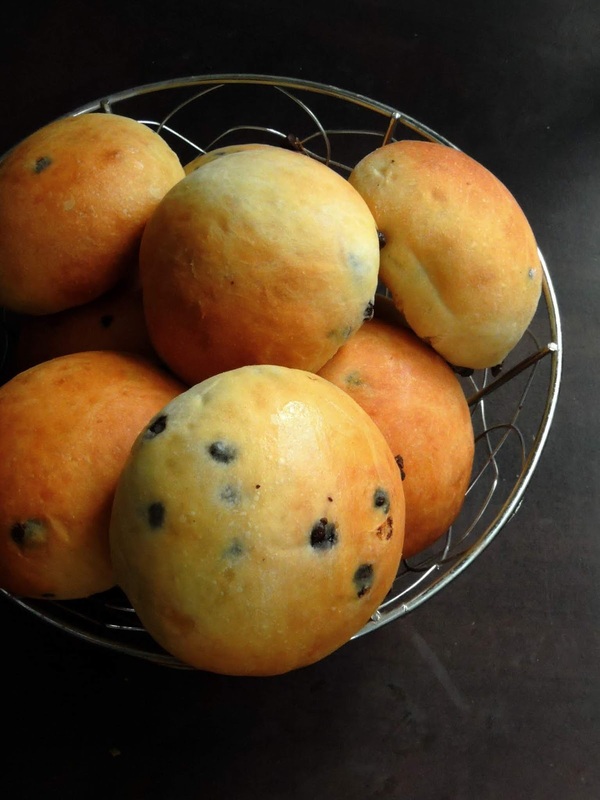 ChocoChip Buns!! these are perfectly baked and look so delicious!! Very nice idea.. going it to try for my kids!! super cute buns, Priya ! lovely adition of choco chips ! Look at those soft and fluffy buns!! Its been a long time since i baked bread/buns!!! I bet my kiddos would jump in joy seeing this cute buns!!! The chocolate chips in the buns take it to another level Priya.They look so good! My kids will love this one. The buns look soft and real cute adorned with those chocolate chips.